This is 1 of 4 different projects I finished over the holidays and the only one that I got a picture of. I used Loops and Threads Charisma yarn in Chocolate Cupcake. 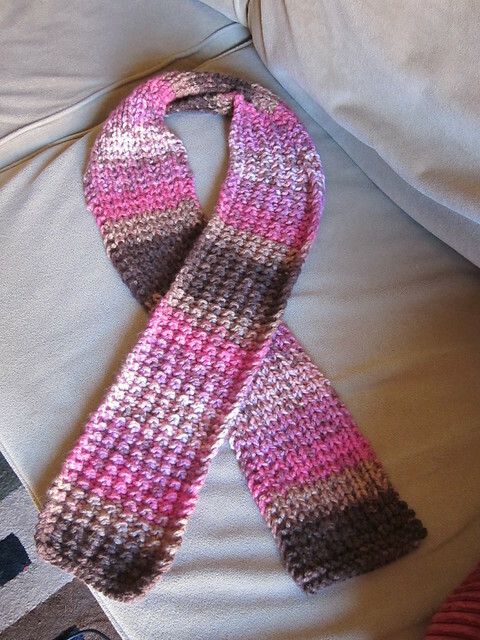 The yarn just came out in the stripe pattern so it made it look like it was a lot more work than it really was. I love this pattern because it creates two different sides that you can wear either way. Repeat rows 1 and 2 until scarf is as long as you like. 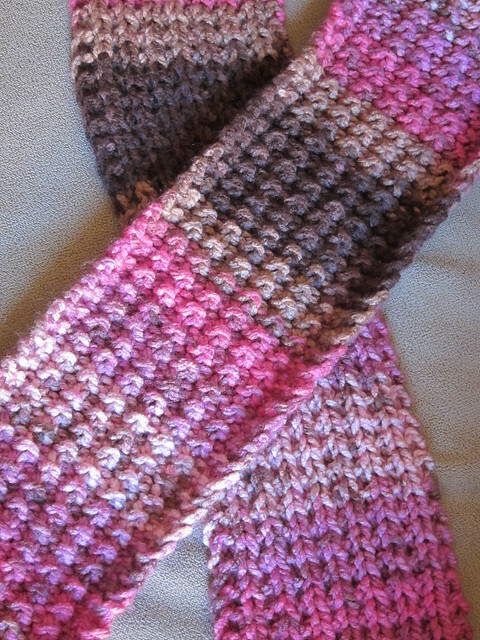 (I usually make scarves to hit my shoulder, about 5 feet long) Knit 3 rows and bind off. I love it. That yarn is gorgeous! Such a huge improvement over the pot-holder/dishrag! Remember that?! Looks awesome! Haha Meredith! I think I may frame that dish cloth one day as a reminder!